Women are the fastest growing segment of the firearms market, and the reason cited by a majority of these women for obtaining firearms is self-defense, and the defense of their families. 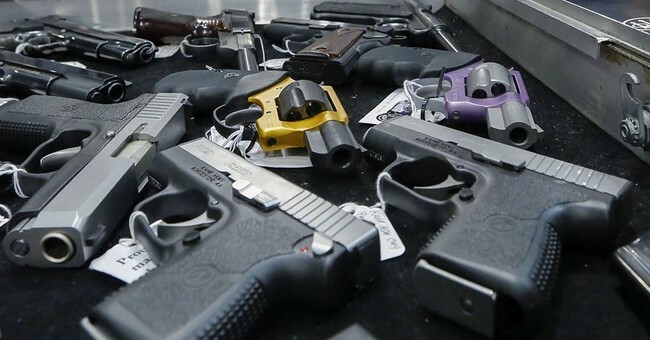 While some of these women will buy a home defense gun and leave it there, many more are opting to carry concealed when out with their families, which often include small children and babies. Guess what? These ladies often have husbands, who may also be concealed carriers out with their children. Many firearms instructors coming from a military or law enforcement context are excellent instructors on basic gunfighting, but once you throw small children into the mix, they’re often going to be at a loss for tactics. Fortunately, there are a number of talented instructors taking on the challenge of providing instruction how developing tactics for parents. In addition to Tatiana Whitlock (video, above), there are other instructors working on this same kind of tactical problem, including Melody Lauer (photo, below) and John Johnston of Citizens’ Defense Research, who are teaching a class called Contextual Handgun: The Armed Parent/Guardian (TAP/G for short) which I reviewed in June. It’s exciting to see firearms tactics and training continue to evolve to meet the needs of the ever-changing defensive firearms training market. It’s not hard to envision a day in the not too distant future that these kinds of classes are commonplace, and not just cutting edge.